Property is +/- 4000 SF of office space on two floors. 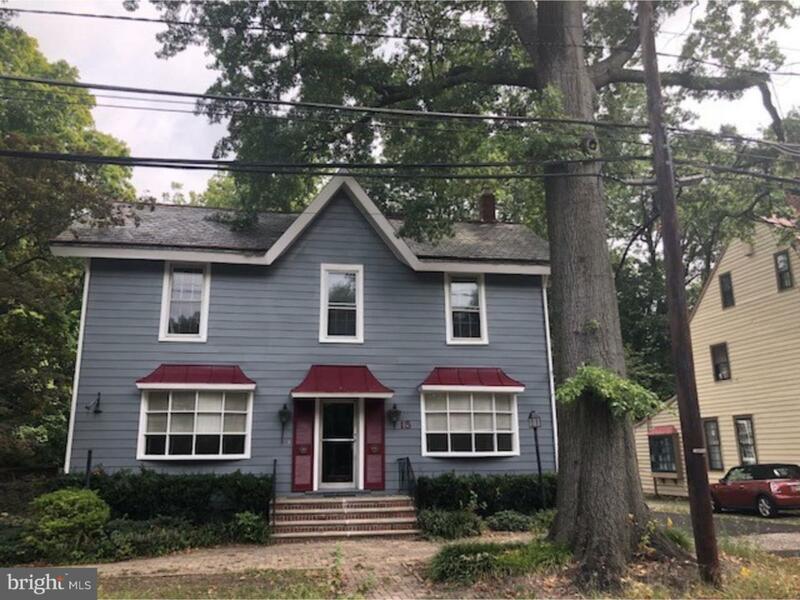 Located in Historic Haddonfield and one property off highly visible Kings Highway. Property was divided into 3 separate office suites with 3rd suite in the rear having a private entrance and walled off from other two suites. Walking distance to all shops, restaurants and other professional offices. Ideal location for a professional (i.e. attorney, accountant, etc.). Private back parking lot with 12 spaces available, a rarity in Haddonfield! Newer tin roof. Newer HVAC installed in the last 5 years. Entire exterior of building has been freshly painted. Easy access to Kings Highway and Routes 70 & 295. Listing courtesy of Wolf Commercial Real Estate.